After showcasing her pole dancing skills, Jacqueline Fernandez has shared her new workout regime. The actor has shared quite a few videos on her official Instagram account. Jacqueline Fernandez, who was last seen in the film Race 3, has been roped in for films like Hindi remake of Kirik Party and Drive. Bollywood actor Jacqueline Fernandez has carved a space in the film industry for her captivating looks and on-screen charm. However, along with being a convincing actor and a phenomenal dancer, she is also a fitness enthusiast and never misses an opportunity to give workout motivation. To keep her fans hooked to Instagram profile, she keeps sharing her fitness routines with her fans and followers that are making a buzz for all the right reasons. Recently, Jacqueline Fernandez, who is currently in New York City, shared a new 20-minute workout regime that includes ice patches as part of the routine. Sharing the video on her profile, the actor said that the fitness regime includes cycling with major ice packs attached to our bodies. After mastering the techniques of pole dancing, Jacqueline is also often seen working out with her mother on Instagram giving mother-daughter goals. The videos shared by the actor are a must-watch as it will motivate you to hit the gym today. 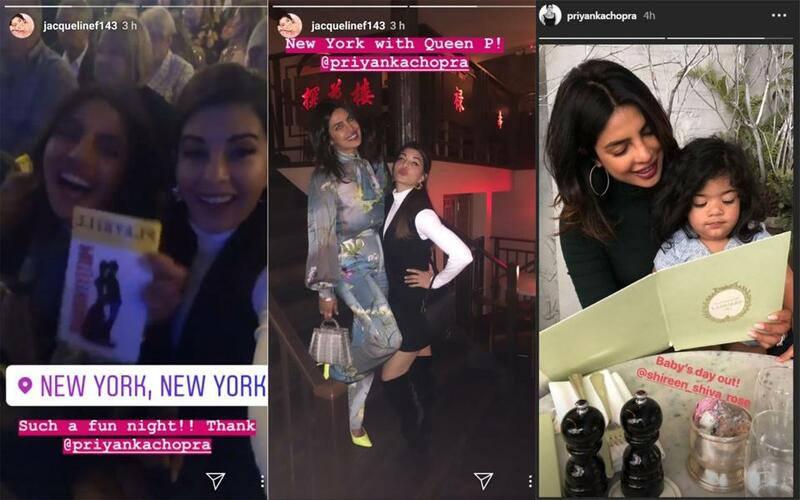 Recently, Jacqueline also met Priyanka Chopra in New York and the photos of the duo chilling at a club went viral on social media. In the photos shared on Jacqueline’s Instagram story, Priyanka was seen dressed in a blue floral jumpsuit while Jacqueline looked stunning a black dress with white high neck shirt and thigh-high boots. On the professional front, Jacqueline Fernandez was last seen in the film Race 3 opposite Salman Khan. Despite receiving negative reviews from film critics, Race 3 comfortably entered Rs 100 crore club reflecting the duo’s massive fanbase and huge popularity. Post this, the actor has been roped in for Hindi remake of Kirik Party opposite Kartik Aaryan and Drive opposite Sushant Singh Rajput.